Fairtrade is a household name – and rightly so – it’s a highly successful, world-renowned standard that has been improving ethical practices right across supply chains for decades. FLOCERT was born to certify Fairtrade, and although we now offer additional assurance solutions, Fairtrade always remains at the heart of our organisation. Of the 1.6 million farmers and workers involved in Fairtrade around the world, about half are small-scale coffee farmers. Currently, FLOCERT audits Fairtrade coffee farmers in 30 countries. By certifying the whole supply chain – from farming and production of raw materials, all the way to the packaged product – we ensure that the integrity of Fairtrade, and your integrity as a Fairtrader is never compromised. Do you care about your employees' wellbeing? Do you ensure their working conditions are good, and pay them fairly? Are you committed to sustainable sourcing from producers who are farming under safe and proper conditions? Being Fairtrade certified shows that fairness runs right through your daily operations. If you meet the social, economic and environmental standards set out by Fairtrade International, you can trade under Fairtrade conditions and display the prestigious Fairtrade Mark on your products. Even if you don't label your product, your Fairtrade certification is an invitation to likeminded suppliers to connect with you, increasing your opportunity to trade globally, credibly. 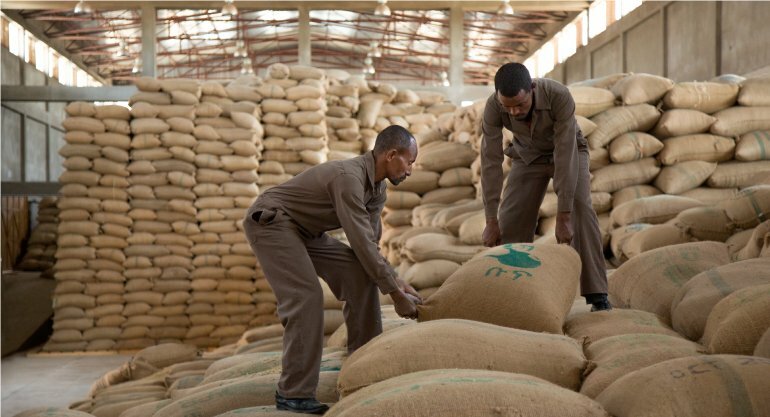 As a FLOCERT customer you'll have access to our brand new online platform, Fairtrace, which makes it easy for you to connect and collaborate with other Fairtrade certified companies and build trust and transparency throughout your supply chain. We've been Fairtrade's certification body since the very beginning of independent Fairtrade certification, back in 2003. When you're ready to become a Fairtrader, we'll visit your organisation to assess whether you're meeting Fairtrade Standards. And if you'd like to be certified against more than one standard we can collaborate with other schemes and programs so you only need to be audited once. As well as helping you understand the impact of your Fairtrade commitments, the regular checks we'll carry out once you've been certified will help you to maintain your position in the Fairtrade supply chain and demonstrate your unwavering commitment to sustainable business practices to your customers and the wider public. If you'd like to learn more about the requirements of the Fairtrade Standards or find out which areas you still need to improve before a Fairtrade audit, you can take part in our Fairtrade Training opportunities or book a Gap Analysis. Fairtrade Training helps you build knowledge on the Standards and explains the intention behind them. We can customise your training and include practical examples on how to comply with the Standards and what it takes to be certified. Or you can join one of our open workshops. Our Gap Analysis is for you if you want to know how compliant you are with the Fairtrade Standards right now. For a Gap Analysis we carry out an audit, and, while the results do not have an impact on your certification status, they show you where your gaps are and what you should work on before the actual audit takes place. This mock audit can also be really useful if you're new to Fairtrade and not sure whether you're ready for certification yet. Please contact us with any other question you may have on Fairtrade certification! Fairtrade offers a better deal for producers and workers, and a way for consumers to directly participate in reducing poverty around the world. If you want to find out more, visit www.fairtrade.net to find out how Fairtrade has changed the world. Fairtrade Standards aren't just about ensuring healthy business practices – they cover terms of trade, too. The Fairtrade Minimum Price safeguards producers from volatile world markets by setting a minimum price that must be paid for their products. And the Fairtrade Premium, which farmers receive for all their products sold on Fairtrade terms, is invested directly into areas the producers consider important: local infrastructure, healthcare, social projects to make their communities more sustainable, or improving their business. So, Fairtrade is having a positive impact on communities right around the world. But, apart from making you part of the prestigious Fairtrade movement, what impact will being Fairtrade certified by FLOCERT have on your business? FLOCERT verifies that your every day practices are fair, protecting your integrity and bolstering your brand reputation. You'll make lasting connections within your supply chain, ensuring you always have a reliable network of supply chain partners. You'll gain a loyal base of customers who believe in the way you do business. You'll demonstrate to the world that social, economic and environmental development for the farmers and workers in your supply chain matters to you. You'll have access to Fairtrace, the brand new platform that is connecting organizations, assuring fairness and establishing transparency and trust within Fairtrade supply chains. 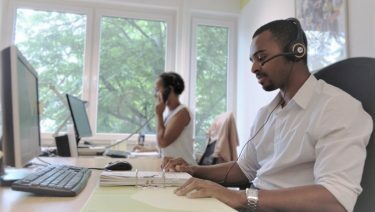 If you have any questions regarding Fairtrade certification for your business, please don’t hesitate to contact us! Your journey as a fair trader starts here! Anything we can help you with? Get in contact with a certification expert!